Whether you're a professional queer, have a professional job, or are a pro-button-down collector, we've got you covered. 1. A colorful button-down covered in tropical fruits that'll just make your day. This babe has just enough stretch, and is perfect for anyone looking for a more masculine tailor. 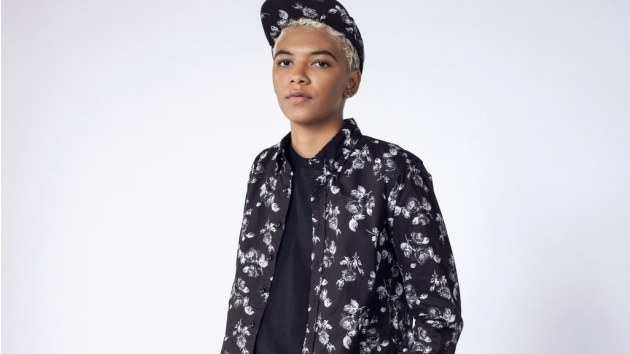 Get it from WIldfang for $57.60 (sizes XS–XL). 2. A long-sleeved button-down made from 100% cotton and ready to become the next staple in your wardrobe. Get it from Target for $19.99 (sizes XS–XXL). 3. A sheer button-down available in four fantastic prints for anyone looking to express their femme side. That neckline tie is 😍. Get it from ModCloth for $29.99 (available in four colors/styles, sizes XXS–4X). 4. A bright floral button-down so you can embrace your shine and be showered with compliments. Get it from Urban Outfitters for $49 (available in two colors, sizes XS–XXL). 5. A gender-inclusive button-down you'll love – because the taco-lover in us all deserves to thrive. Anyone else suddenly craving tacos? Get it from Pyknic on Etsy for $39 (sizes S–XL). 6. 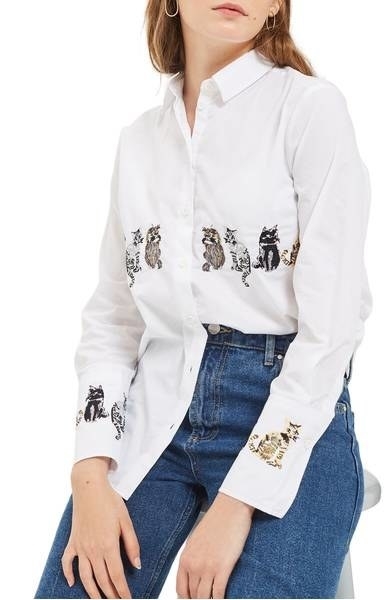 A long-sleeve button-down with embroidered cats that just may make it easier to stay ~pawsitive~. Get it from Nordstrom for $55 (sizes 2–12). 7. 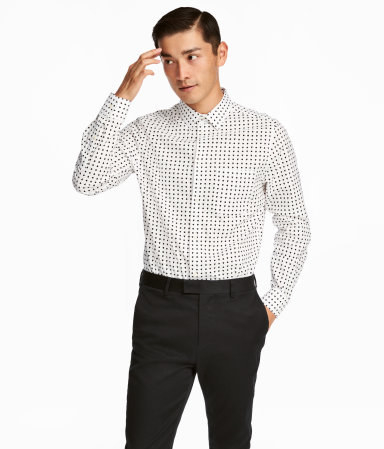 A slim-fit button-down featuring little details you're sure to fall for – like an open chest pocket, all-over printed pattern, and narrow cuffs. Walking into the office like 🔥. 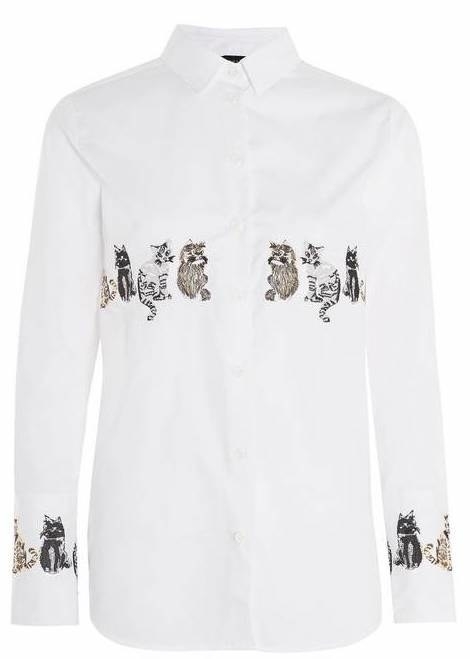 Get it from H&M for $29.99 (sizes XS–XXL). 8. A cool-toned button-down with a relaxed fit worthy of your effortless style. Come into my life, shirt that is cooler than I am. Get it from Wildfang for $55 (sizes L–XL). 9. 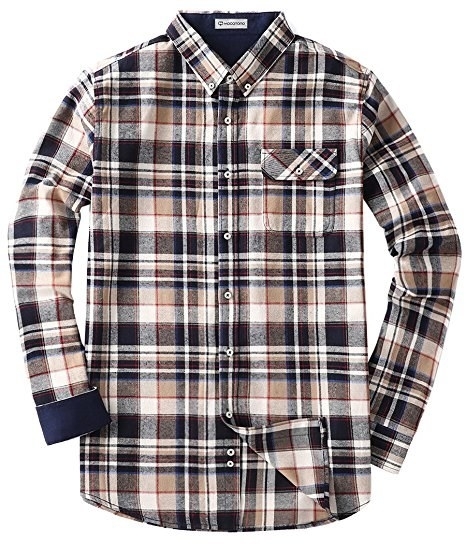 A plaid flannel so you can stay warm up at the lodge, or at your freezing AF job/school. 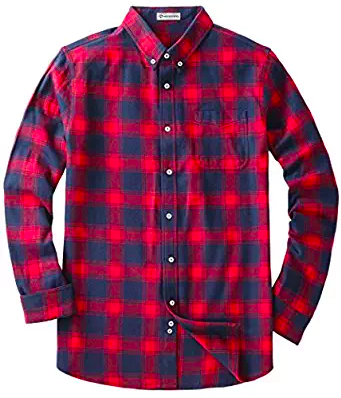 Senior thesis: Plaid flannel rules and has buttons so therefore this is a button-down, fight me. Get it from Amazon for $9.48+ (available in 10 colors, sizes S–XXL). 10. A poplin weave button-down for anyone who wants to invite a stable, beautiful, blue babe into their life. TBH I could look at this shirt all day. Get it from Target for $19.99 (sizes S–XXL). 11. 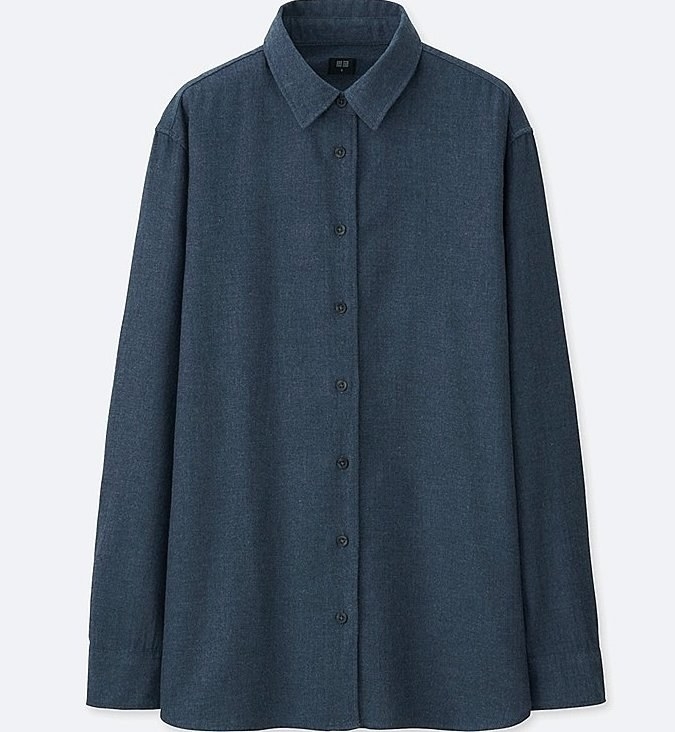 A draper tunic button-down that'll basically make you look like a professor, a professor of button-ups. Hello yes it is me, the coolest shirt in the land. Get it from Urban Outfitters for $39 (available in two colors, sizes XS–XL). 12. A burgundy button-down so smooth, you might become one of those people who flips their hair while wearing it. "Hand me my burgundy button-down" is the poetry my ears long for. Get it from Asos for $26 (sizes XXL–6X). 13. A dino-inspired button-down to live up to how you imagined you would dress when you were a small child. 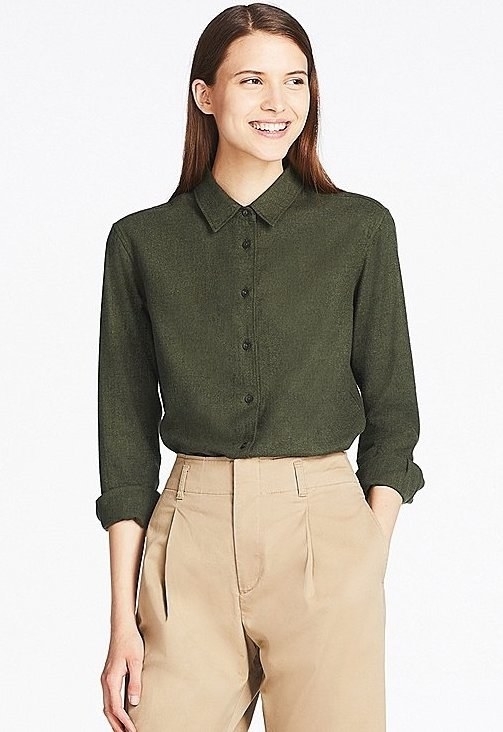 Get it from ModCloth for $44.99 (sizes XS–XL). 14. 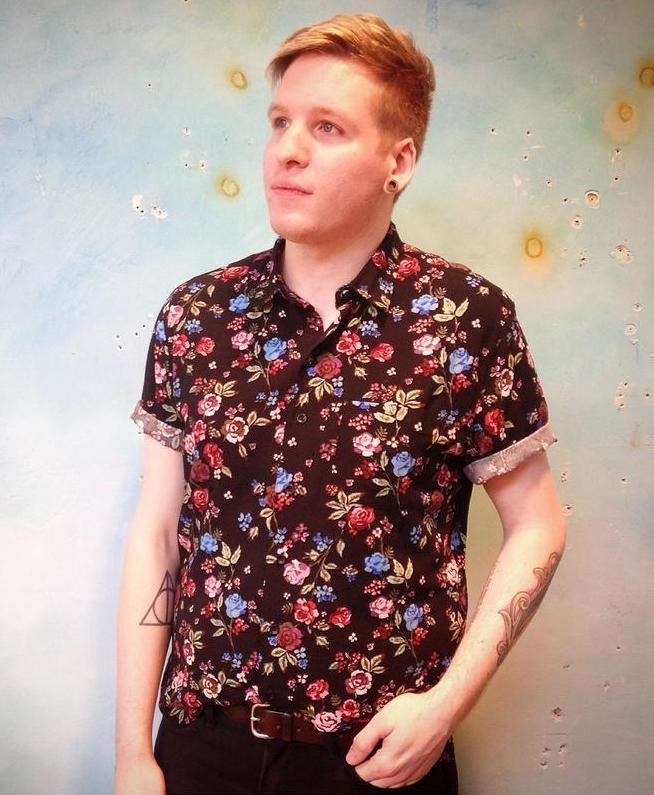 A sleek, straight-cut button-down made by queer folks for queer folks. Bonus – the sleeves come cuffed. Get it from Androgynous Fox for $47 (available in six colors, sizes XS–3XL). 15. A button-down designed with stylish patterns in mind – just throw this beaut on with some jeans and you'll be good to go. Get it from H&M for $17.99 (available in seven colors, sizes 2–16). 16. An oversized button-down worthy of anyone who isn't afraid to rock a bold print. Get it from Urban Outfitters for $59 (available in two colors, sizes XS–L). 17. 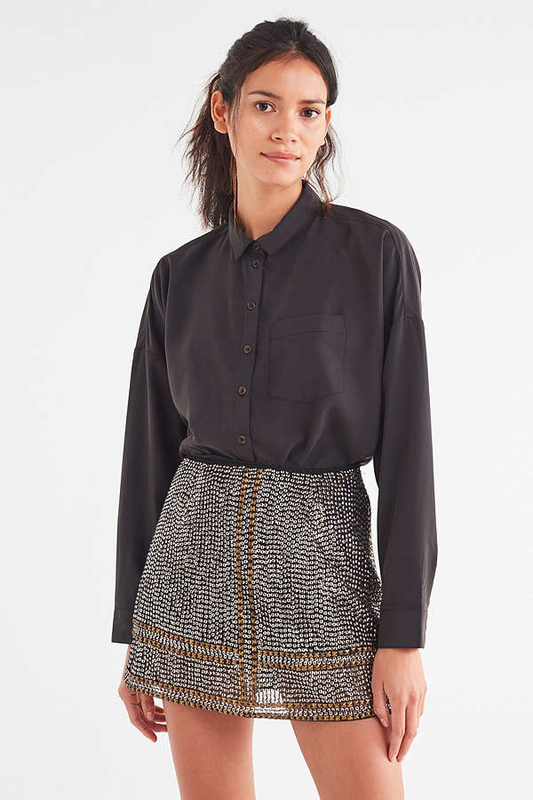 An easy-iron button-down that'll be *the perfect fit* for the aspiring minimalist (available in 11! colors). Get it from H&M for $14.99 (available in 11 colors, sizes XS–XXL). 18. 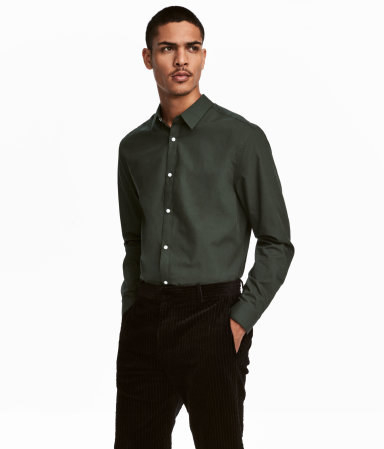 A longline button-down with a grandad collar and contrast buttons your grandpa just may envy. 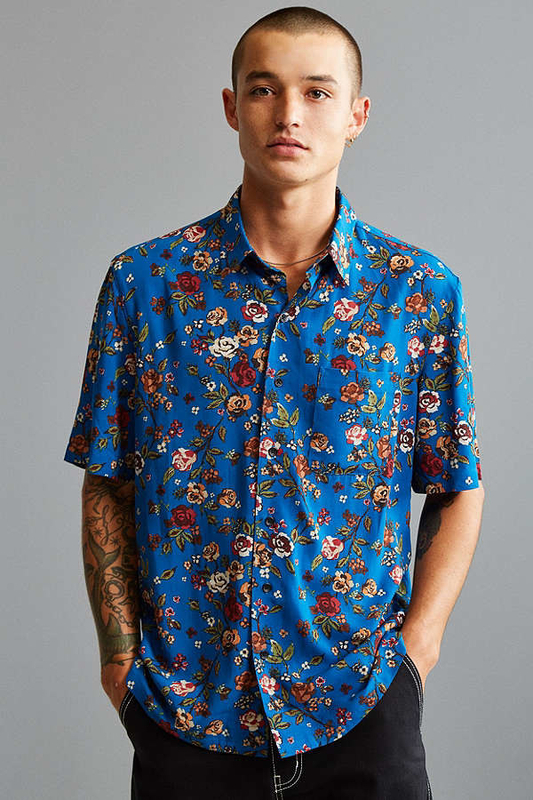 Get it from Asos for $32 (sizes S–XL). 19. A long-sleeve flannel begging to be your base layer under a knit sweater. Not really sure how to stop myself from ordering this in every color? Get it from Uniqlo for $19.90+ (available in eight colors, sizes XXS–XXL). 20. And a bright peplum flannel you'll gravitate toward when you're ~feeling blue~. If Pluto were a shirt, Pluto would be this shirt. 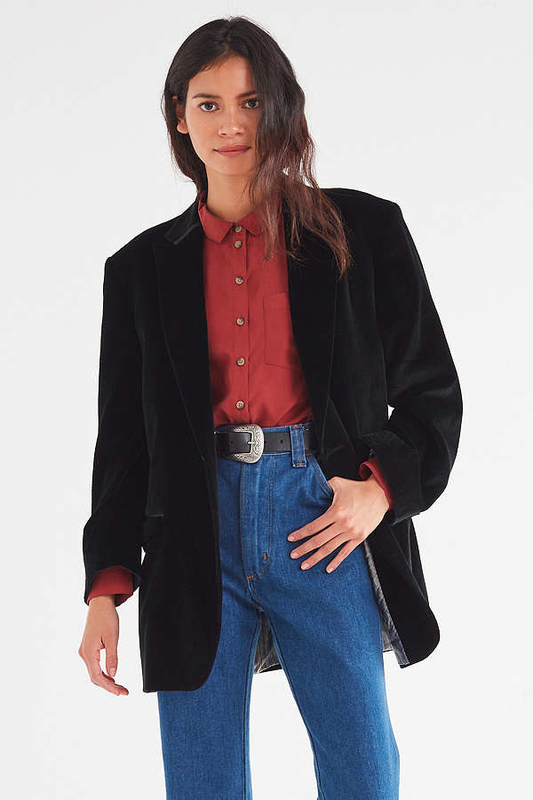 Get it from Urban Outfitters for $39 (sizes XS–XL). 21. 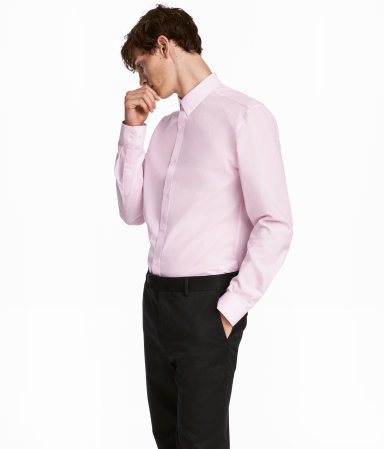 A button-down featuring a back box pleat so you can be the well-tailored talk of the town. Likelihood that your town deserves you is low, but likelihood that you deserve this shirt is 💯. 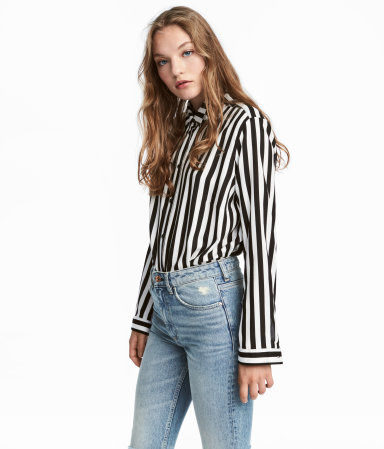 Get it from Wildfang for $88 (sizes XS–XL). 22. 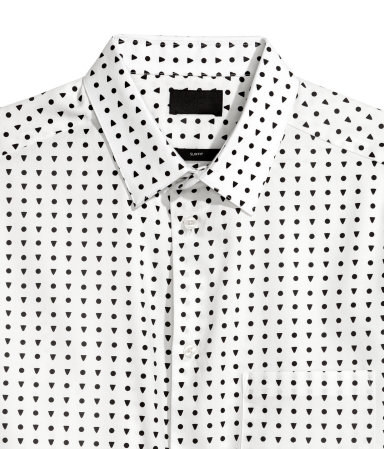 A woven button-down for anyone who is ready for maximum fabulous via embroidery. There are dragonflies on those sleeves. Dragonflies. Get it from H&M for $17.99 (available in four colors, sizes 2–20). 23. 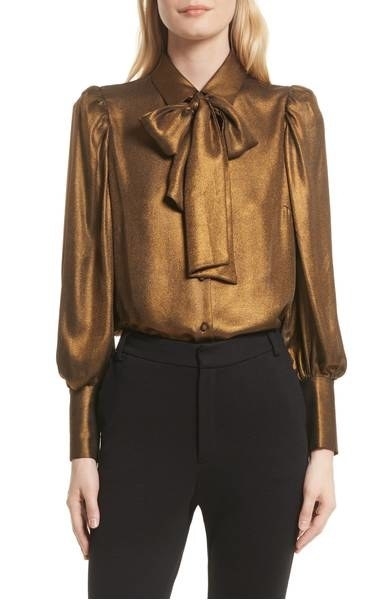 And a voluminous scarf blouse (that has those amazing lil' grandma buttons) I want to deplete my whole bank account on right now. 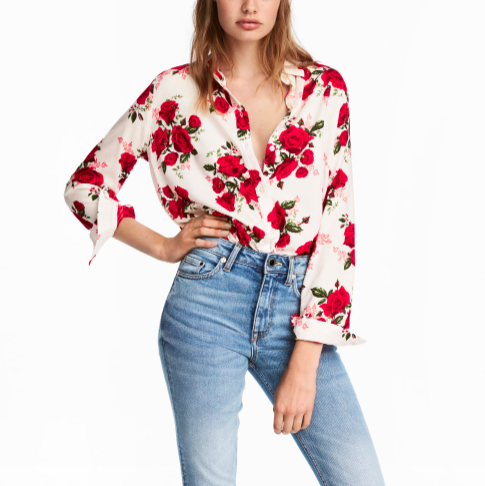 I'll dream about you forever, shirt love of my life. 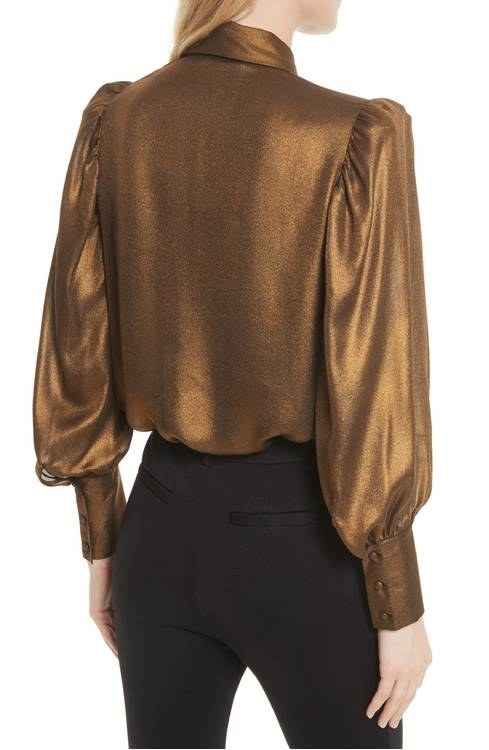 Get it from Nordstrom for $295 (sizes XS–L).